With summer vacation fast approaching for kids and students all across Virginia, it is time for parents to start planning their summer trip. This can be very stressful and expensive for people just looking to have a relaxing week off of work with their kids. Between setting the dates, booking the flights, reserving the hotel and scheduling events, a person might forget that this is all just to have a good time. Vacation costs vary greatly depending on the vacation you choose, but the average family of four can expect to spend between $3000-$10000 dollars for a week-long vacation. However in recent years a new trend has emerged among young families, vacationing from home. In 2016, 43% of all trips taken by millennial families were “staycations”. This does not mean that these families are sitting on the couch at home doing nothing. These families are simply foregoing the travel and lodging expenses of a traditional vacation and exploring the areas around them that they do not have the time to during the normal hustle and bustle of life. The key to a great staycation is to take advantage of your surroundings and to plan like you would for any vacation. Planning out your staycation is even easier if you live at a resort community like Chesdin Landing. Get up early, cook a giant breakfast (Wait 30 minutes to an hour)… Then hit the water! Water skiing, wake-boarding and tubing are always great family fun. Once you’ve had enough sun for the day you can go home relax and grill on the patio in the evening. Break out the fishing poles and sit by the water with a cooler full of drinks and food. This day is also perfect to bike or walk Chesdin Landing’s miles of trails. At night, take advantage of being home and invite friends over for a dinner. This is for families that are looking to get out of town for at least one day during their vacation. Exploring a nearby large city can be a great way to spend a day. 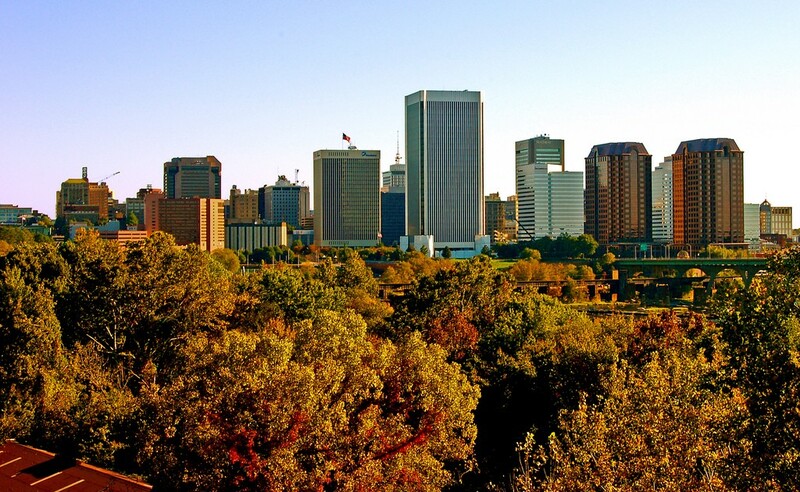 In Richmond you can visit the Virginia Capitol, the Science Museum of Virgina, the Maymont and walk-through the Lewis Ginter Botanical Garden. You could also turn this day into a beach day and make the 2-hour drive to Virginia Beach and dip your toes in the sand. 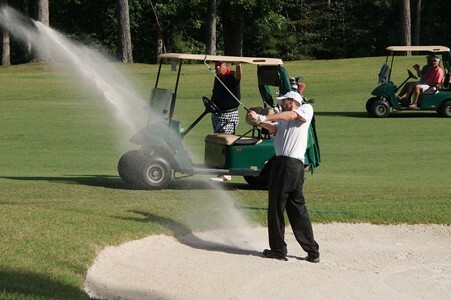 Schedule a tee time for the whole family, and play on Chesdin Landing’s award winning championship golf course. Play in the middle of the day on a weekday to enjoy a less crowded golf course. Exercise in the morning at our health club then spend the rest of the day at the Olympic-sized swimming pool sipping on drinks and eating food from our grand club. The key to a great staycation is being in a great community. Contact Chesdin Landing today if you are interested in learning about our available waterfront lots.